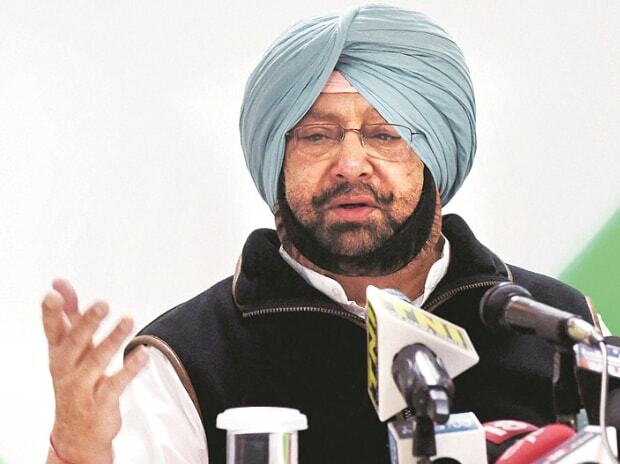 Slamming Pakistan Prime Minister Imran Khan for demanding proof of his country's involvement in the Pulwama terror attack, Punjab Chief Minister Amarinder Singh Tuesday said JeM chief Masood Azhar had masterminded the attack while "sitting in Bahawalpur". "What proof is he talking about, should we take the bodies (of soldiers) there?," said Singh in a statement. "Every day our soldiers are being killed at the Line of Control so who's killing them?," asked the chief minister, stressing that the world knew what Pakistan was doing in Kashmir and other parts of India. "They (Pakistan) were behind 26/11 (Mumbai terror attack) and India gave all the proof to them, but they did nothing," Singh said in the statement, adding that even in the Rajasansi blast at Nirankari Bhawan, Amritsar, a Pakistani grenade was used. The suicide attack by Pakistan-based JeM left at least 40 Central Reserve Police Force (CRPF) personnel dead. "If you have any actionable intelligence that a Pakistani is involved. Give it to us. I guarantee you we will take action - not because we are under pressure, but because they are acting as enemies of Pakistan," Khan said in the message. Singh further said: "Pakistani Prime Minister, along with their Army Chief General Bajwa, were killing Indian soldiers and innocent people. India cannot and should not tolerate this... if they kill one of ours, we should kill two, Singh said further. Earlier, addressing a public gathering here at the foundation stone laying ceremony of some projects, the chief minister underlined the importance of peace for development but said India needed to avenge the killings of its soldiers. "Surgical strikes could be one way, but it was up to the Centre to decide what course of action it should take," he said, making it clear that he was not in favour of war.